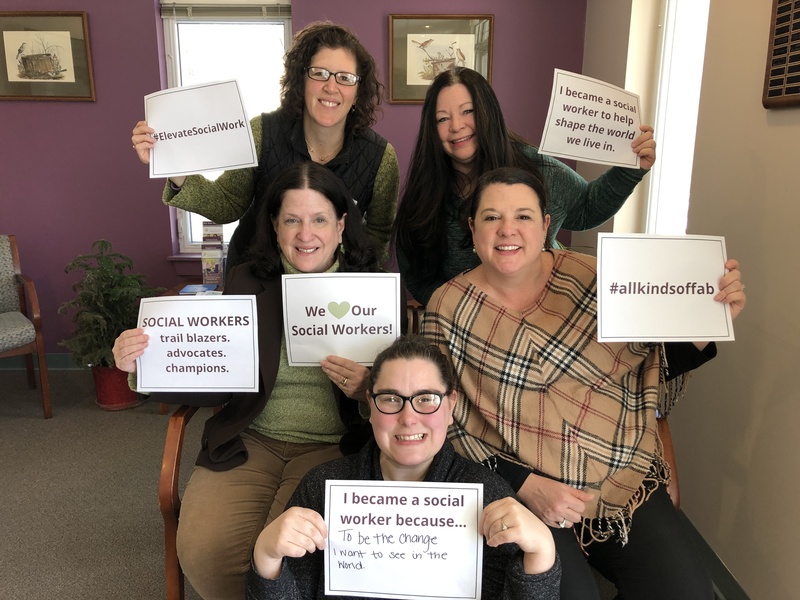 The month of March is National Social Work Month and Cornerstone VNA is proud to celebrate their Medical Social Worker (MSW) team. Cornerstone VNA’s MSW team includes Hollie Crosbie, MSW, LICSW, Kristie Bonyman, BSW, Anna Fordyce, MSW, Sharon Omand, MSW and Anna Shultz, MSW, CMC. MSW’s are part of Cornerstone VNA’s multi-disciplinary team and work closely with their nurses and therapists to meet the needs of patients and their families. Specifically, MSW’s address the social, economic and emotional issues that an individual may experience related to their illness or injury. Additionally, MSW’s offer education and access to community resources, long term care planning, assistance completing advance directives, and counseling and education to improve coping and reduce stress.